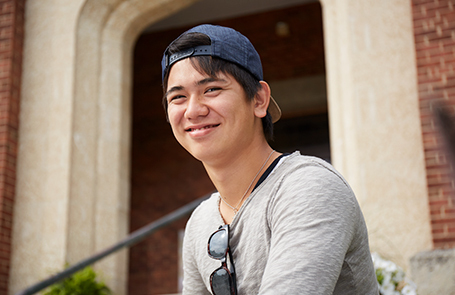 The Algoma University Homestay Program (AUHP) is set-up as a First-Year Experience Program, which provides International students the opportunity to live with a Canadian family, exchange their cultures and traditions and improve their English communication skills. The AUHP is not intended for second-year students or for students who have experience living in Canada. All of the families, participating in the AUHP, are carefully selected and interviewed before joining our program and undergo a thorough Homestay Check as well as Criminal Record Check conducted by the Sault Ste. Marie Police Service. The AUHP is proud to work together with our Homestay families to provide a fun, warm, welcoming and safe environment for all our new students visiting Canada and work towards our communal goal, which is to help these individuals adjust to their new life here in Northern Ontario. Visiting scholars, professors, researchers, trainees, etc. The $100 Placement Fee is due upon submission of the Online Application (applications will not be processed without receipt of the $100 Placement Fee). The Homestay Application is due by August 15, 2018 at 4:30pm ET. The 4-month Homestay Fee of $2,800 is due by August 15, 2018 at 4:30pm ET. Applicants who do not pay this fee by this deadline will be subject to a 5 per cent interest fee on any outstanding balance owed to the AUHP. Please refer to the Student Guidelines or the Student Information Booklet (PDF) for more information about deadlines, fees, and required documents for each term (Winter, Spring, and Fall). Applicants will be placed within the AUHP starting August 15, 2018 according to compatibility. Preference will be given to those students who apply early. Once the AUHP matches a student, he/she will not be permitted to move into the Homestay until September 1, 2018 unless a special arrangement is made in advance and agreed upon by the host family. Students who arrive before this date will be responsible for paying their own accommodation until the move in date of September 1, 2018 If the host family allows the student to move in before September 1, extra charges will be assessed by the AUHP to compensate for the early arrival. With each placement, the student must make a four-month commitment to stay with the Homestay family. The maximum amount of time a student can stay within the AUHP is one calendar year (three terms). A refund is available only if the applicant provides proof of visa denial. Complete our Student Homestay Application Form. Make a payment of $2,900 CAD to Algoma University, which includes the $2,800 for the Homestay Fee (four months) and a $100 Placement Fee by credit card (PDF) or bank transfer (PDF). Send a scanned copy of your flight itinerary and of your study visa/permit to homestay@algomau.ca by 4:30pm ET on April 15, 2018. Are you interested in joining the AUHP as host parents (or a host parent)? Find out more about the AUHP program in our Homestay Information Booklet (PDF) or by viewing the Family Guidelines. To apply, please fill out the AUHP Family Application Form. Everything you need to know about living with a Homestay family. Find out all you need to know to become a host family. Find out all you need to know to partake in our Homestay program. Becoming a host family is just a few steps away.